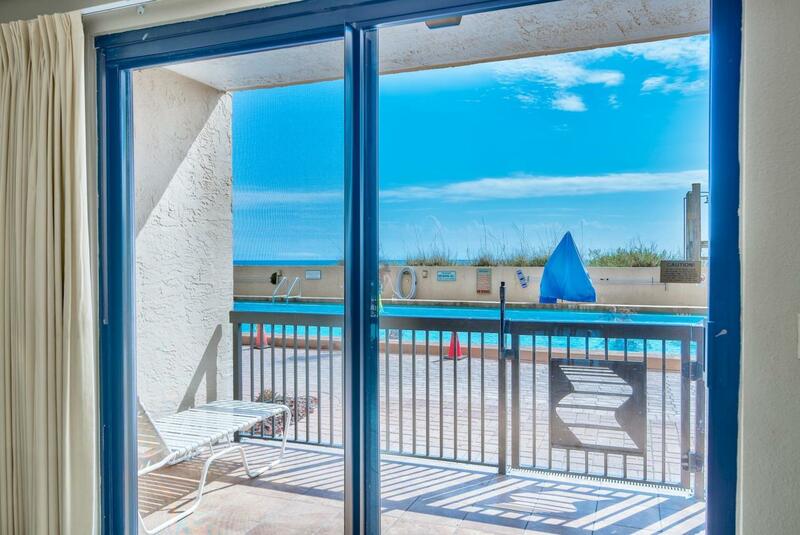 Ready to own a Gulf front condo with amazing amenities and great rental income? Here is your opportunity for a ground floor, Gulf front condo with Gulf views and easy access to the pool and beach right from your patio! Fully furnished, rental ready, and just in time for the prime season. 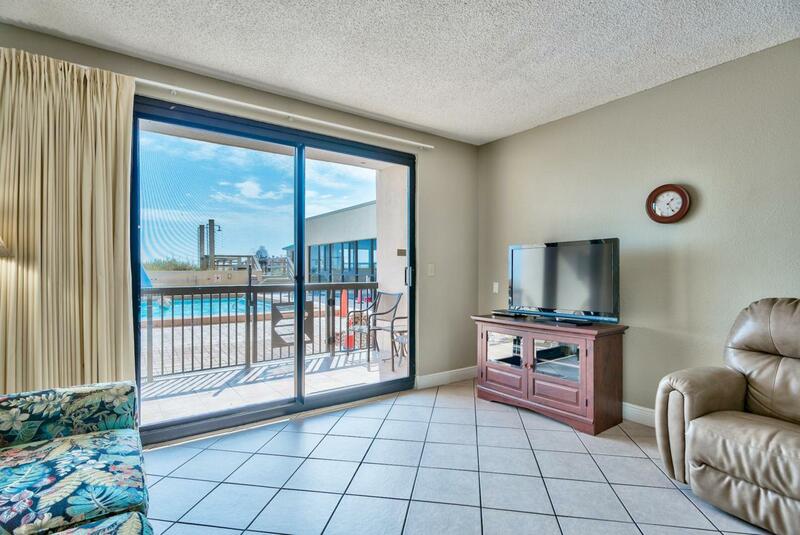 This 1 bedroom, 1.5 bath condo is poolside and Gulf front, making it the ideal vacation getaway. The covered patio is a perfect spot to relax and take in the Gulf views. 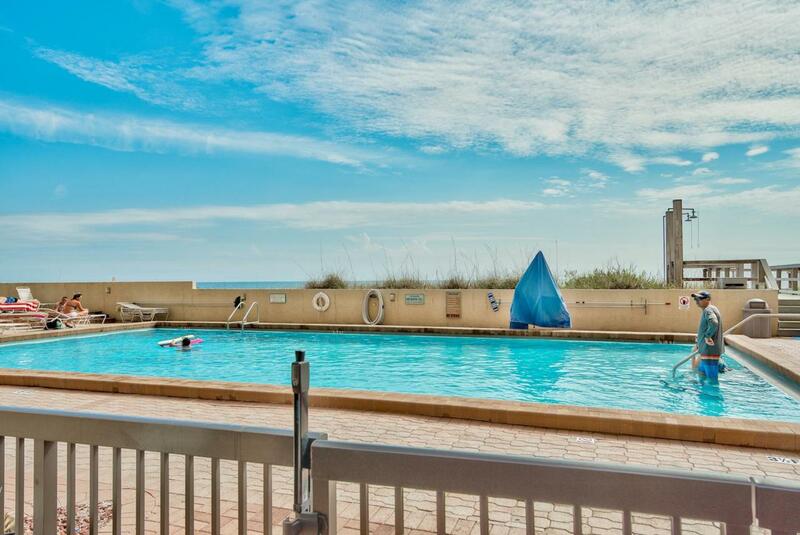 The pool & boardwalk to the beach is literally right outside your door. This is convenient for a family with kids. 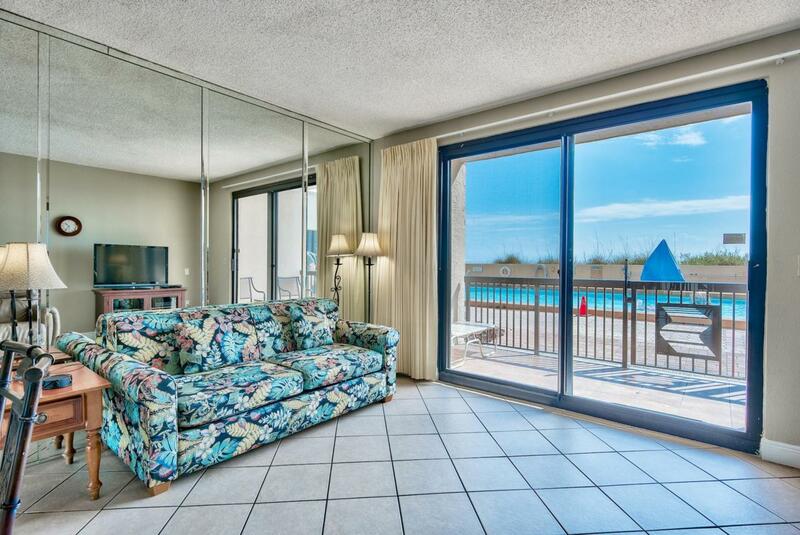 The interior features updated tile floors throughout offering easy maintenance for beach front living. There is a closet by the entry which is great for your beach gear. The kitchen has been updated with stunning granite!